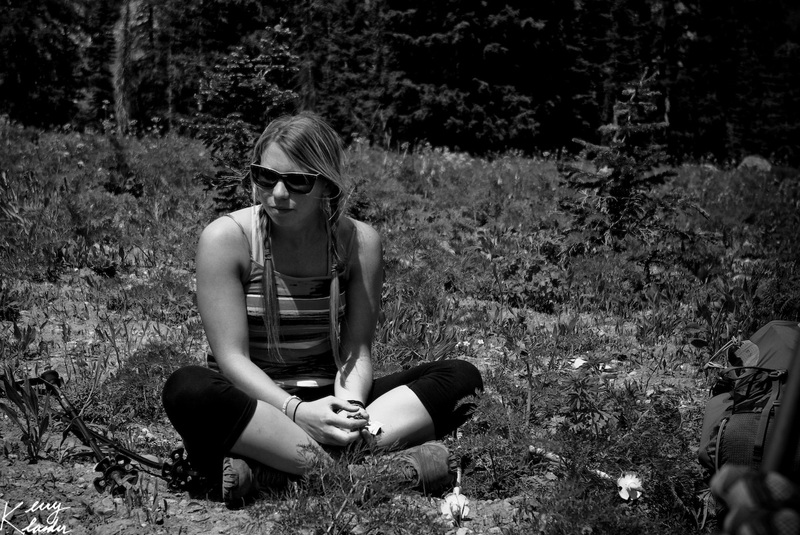 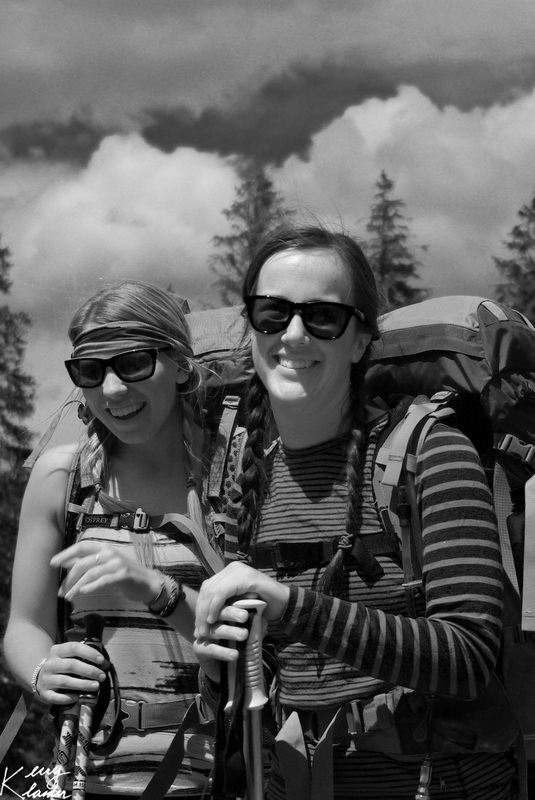 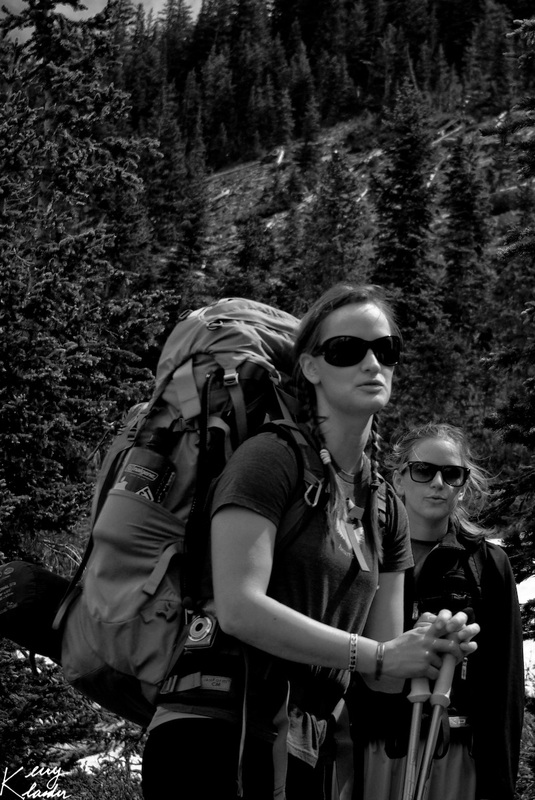 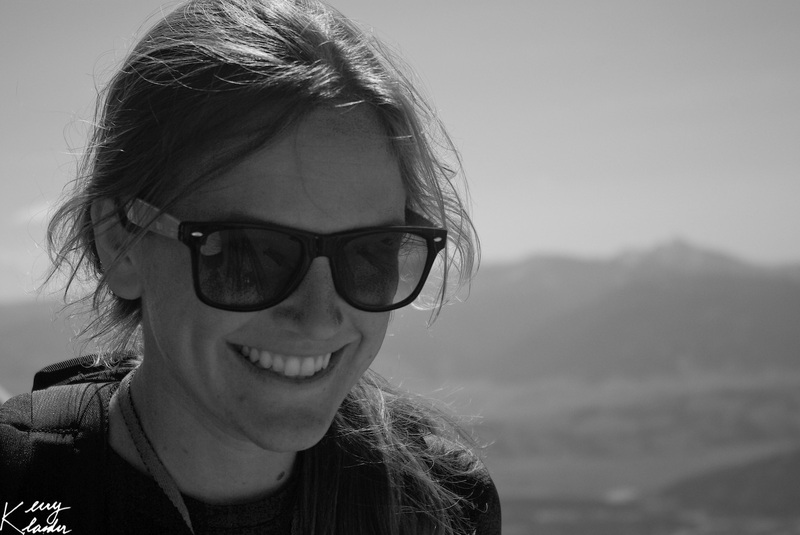 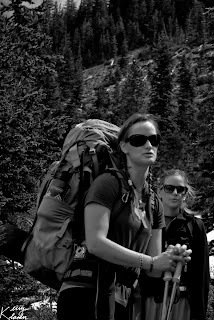 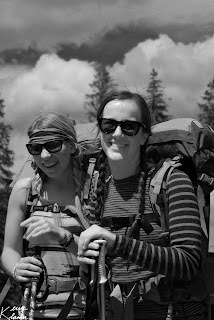 The girls left this morning on a three day trip on the Teton Crest Trail. 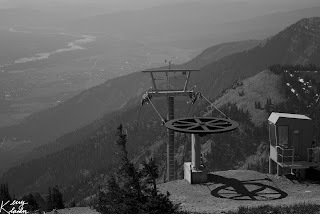 Heather and I decided to ride the tram up and hike the first part of the trail with them. 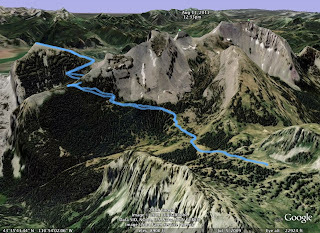 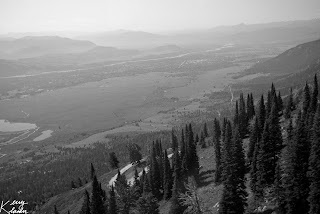 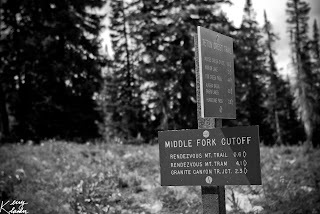 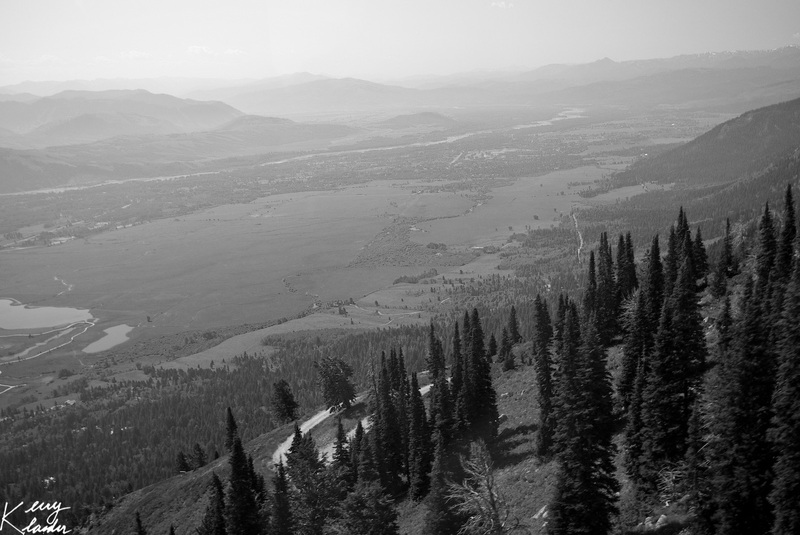 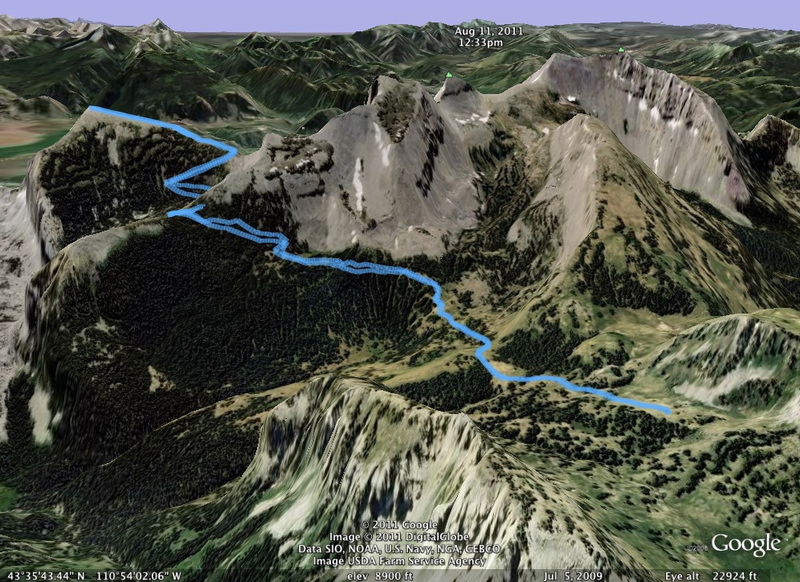 We hiked the Middle Fork Cutoff from the tram to where it meets up with the Teton Crest Trail. 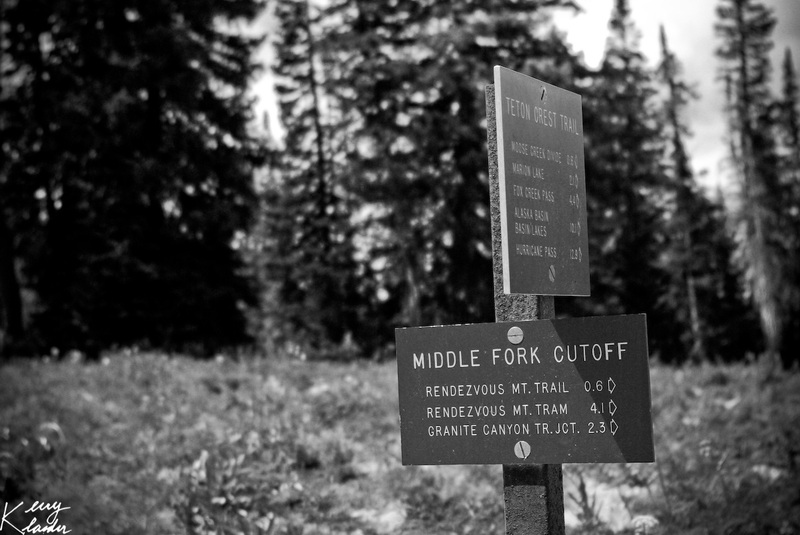 It was just over 8 miles, pretty much all downhill going out and uphill coming back. 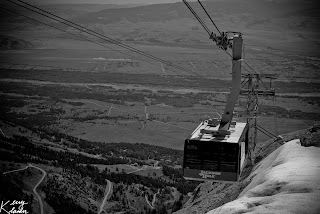 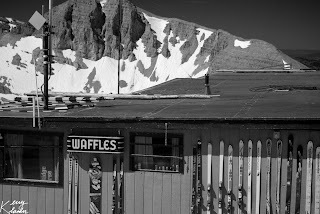 We would have liked to have hiked further, but we didn't have to be racing to make the last tram. Missing it would have added an additional 7 mile hike down to the village.